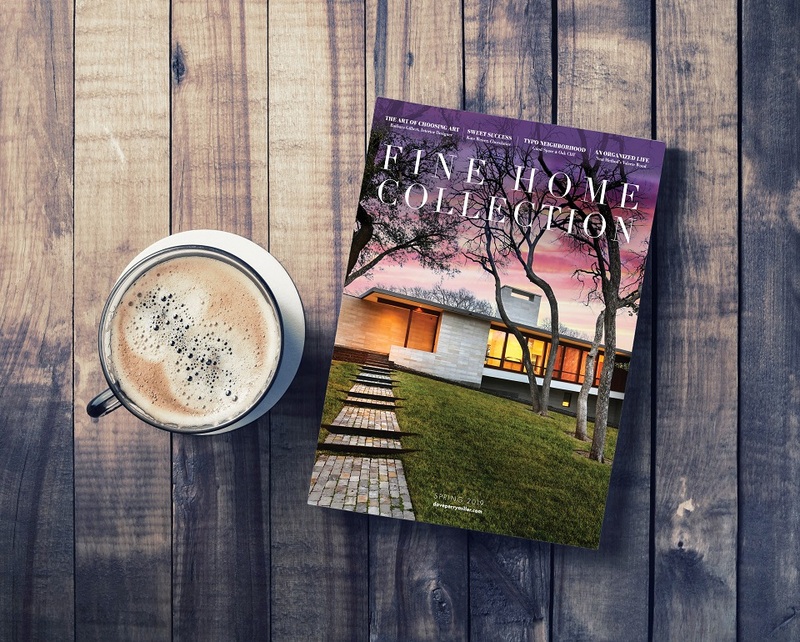 The spring 2019 edition of Fine Home Collection magazine recently mailed to approximately 55,000 households across North Texas. 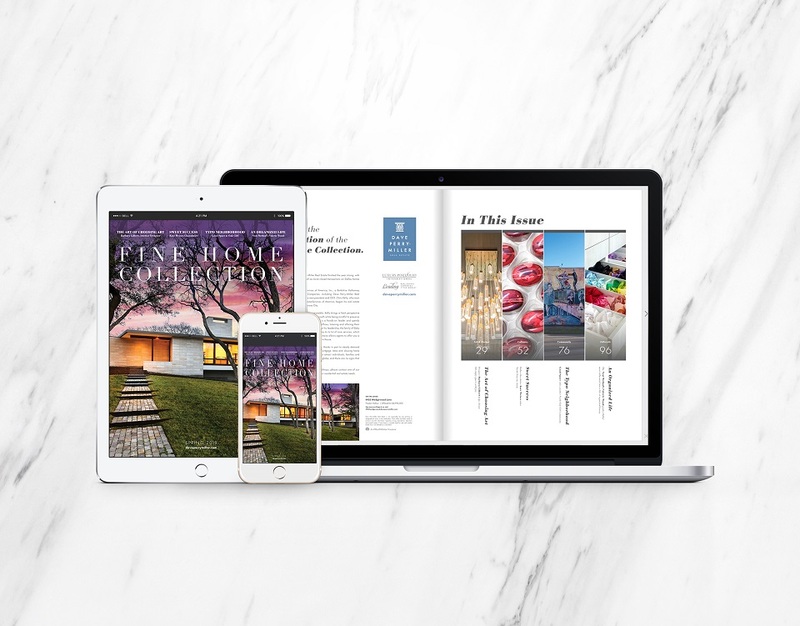 Fine Home Collection is the luxury home publication of Dave Perry-Miller Real Estate, part of the Ebby Halliday family of companies, which is an affiliate of Berkshire Hathaway. “The Art of Choosing Art” gets experienced designer Barbara Gilbert’s thoughts on finding pieces to fill your empty spaces with joy. “Sweet Success” will give you a taste of the artistic – and delectable – endeavors of local chocolatier, Kate Weiser. “The Typo Neighborhood” shines a light on the next hot spot in North Oak Cliff. “An Organized Life” recounts a visit with Valerie Wood, owner of Neat Method – Dallas, a California-based company at the forefront of the home organization phenomenon. Visit dpmmagazine.com to see the online version of the spring 2019 Fine Home Collection. Print copies may also be picked up at Royal Blue Grocery in Highland Park Village and at their location downtown at 1800 Main St.